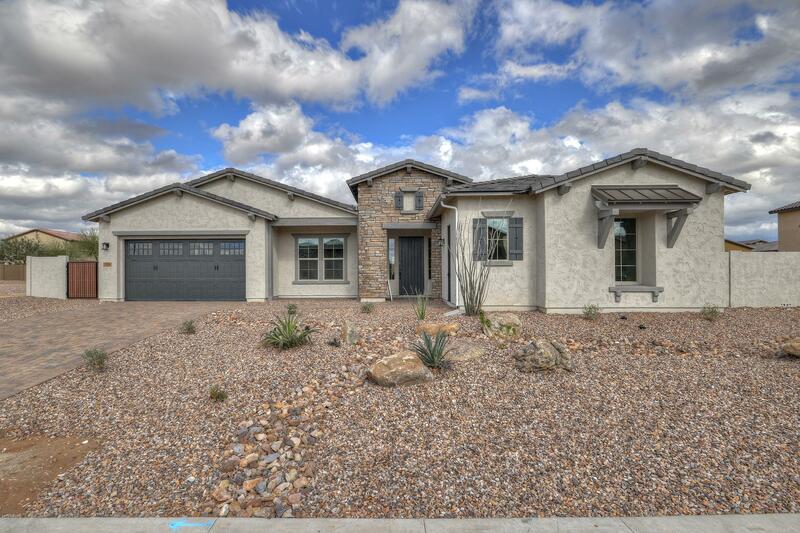 All MEADOWS PARCEL 2A homes currently listed for sale in Peoria as of 04/19/2019 are shown below. You can change the search criteria at any time by pressing the 'Change Search' button below. "PURCHASE THIS HOME ON OR BEFORE APRIL 30, 2019 & CLOSE ESCROW BY JUNE 14, 2019 TO RECEIVE A GE REFRIGERATOR AND GE WASHER & DRYER! Located in the Meadows, this 1 story gorgeous new home features New Haven ''Linen'' Cabinetry, Quartz Kitchen Counter Tops, Gourmet Gas Stainless Appliance pkg, 12' Ceiling at Great Room, 8' Interior Doors, 12' Slider Pull Sliding Glass Door at Great Room, Lennox 14 SEER HVAC with Wi-Fi Thermostat, ''Wood Look'' Tile Flooring, Extended Covered Patio, Pavers at Drivew"